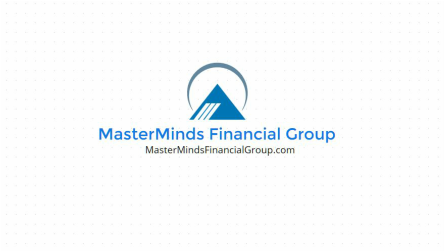 For the last 30+ years, MasterMinds Financial Group has helped the Professional Self-Employed person with benefits such as Insurance, Real Estate and much more. Our Team consists of Licensed Professional Insurance Brokers and Licensed Realtors who are trained to provide the best service to you - the self employed. We are here to serve you and our goal is to represent you as a valued client for many years to come. What does a Independent Insurance Broker do? Many people have heard the term "Broker" but they are not really sure what a broker does. Our primary job is to look into the future and make a plan that shows you the decisions that you can make that will help you achieve long-term financial success. Of the 350,000 independent brokers in our country, the majority of them (over 90%) receive commissions in one way or another from products that they sell. Basically, we get paid from the insurance company and not directly from you. We sell advice. That advice helps people make smarter financial decisions. In a nutshell, broker will ask you questions, then based on your answers will provide a solution to solve your objectives. What investments are best suited to provide the income I need? How can I protect my savings against a bad market? Should I use my extra money to pay off the mortgage, or put more into my 401k plan? How much income will I have in retirement? Should I keep the life insurance policy I’ve had for thirty years? How will inflation affect my retirement lifestyle? What should I be doing with my money so it can take care of me one day? Some of these questions are not so easily answered. Looking thirty years into the future can be a rather daunting exercise. The key is to accept that we are working with a lot of moving parts. You have to play with the parts that move and create “what if” scenarios. These scenarios help you see what your finances will look like five, ten, or twenty years into the future. Once you have a financial projection, you have to forget about the things you have no control over (like what did the stock market do today) and focus your energy on the things you can control. Here are some ways an independent broker can help you focus on the things that will make a difference. Worried about losing your job? You can save extra money in an emergency fund so if that happens you have plenty of time to regroup. Worried about inflation? Social Security provides lifelong inflation adjusted income and you can often get more in benefits than you might think by doing a bit of analysis and strategically deciding when each spouse should begin taking benefits. Worried about the investment markets? You can choose safe, guaranteed investment choices, or use a time-segmented approach to investing so you don’t have to worry about the inevitable ups and downs in the markets. What a good broker does is facilitate conversations about all of these items. They provide objective advice and educate you about the choices available to you. A good independent broker does not start off by showing you a brochure about an investment. Bottom line, the type of independent brokers our firm offers falls more along the consulting lines. I hope that one of our licensed independent brokers can you too. ​What does our Exclusive Licensed Realtor do? Everyone knows that a REALTOR helps people buy and sell houses. The difference here is that we have screened our Realtors and have selected the "BEST of the BEST" to help you in a Real Estate transaction. Each of our Realtors are required to take extensive courses in order to pass their real estate exam, then they must take continuing education either every year or every two years depending on the length of time that they have been a licensed Realtor. * Buy a home, condo, land, investment home, 2nd home and give sound advice to make sure you that you are aware of all the details involved in the transaction. * Relocation Assistance - Our Realtors can also help you in the transition of any relocation venture that you are going through. * Investment Homes, Apartments, Commercial Property and much more. We hope that you will find our Real Estate services valuable and would love to hear your feedback before, during and after your transaction.